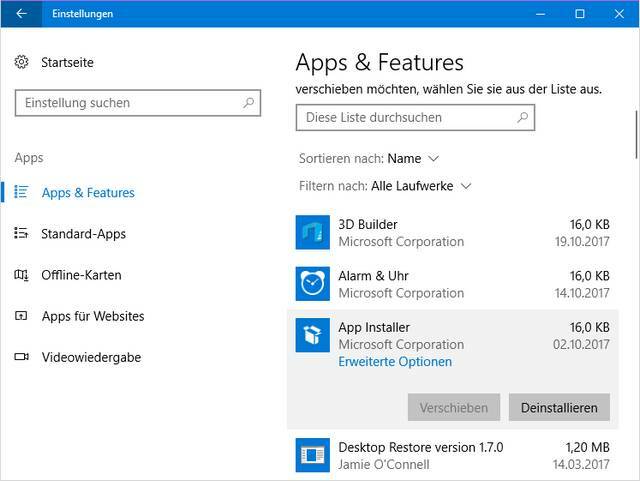 [German]Users upgrading to Windows 10 Fall Creators Update may facing a problem: On some machines apps are missing in start menu. I’m affected on two of my test machines. Now it seems that Microsoft acknowledged this issue and provided some workarounds. If you switch to Windows 10 Case Creators Update, you may find that apps are suddenly missing in the start menu. I am affected myself on test machines, as I wrote in the article Windows 10 V1709: Wrong App Title, Tiles with download arrow. 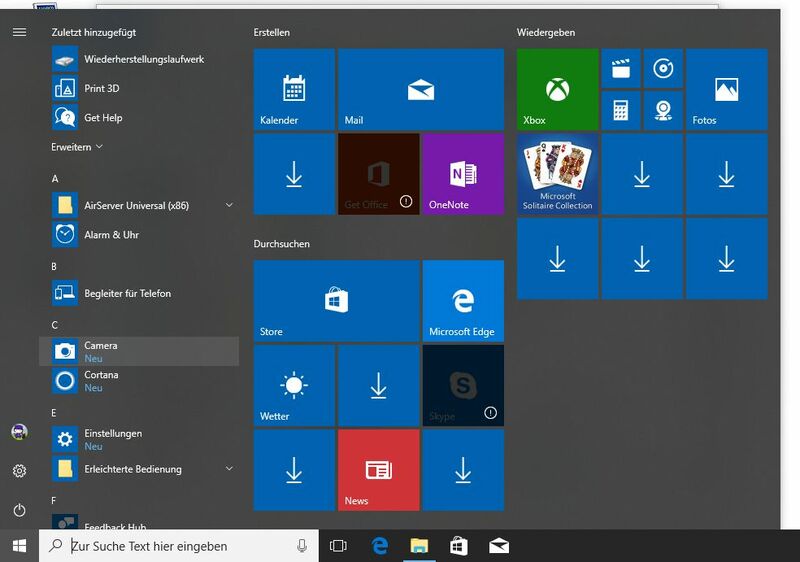 Some tiles in the start menu were displayed with a (download) arrow. I know this behavior from earlier versions of Windows 10. But so far, the apps have been updated after some time. This was not the case with my test systems (the tiles hasn’t been updated). And I recognized, that after rebooting the test machines, suddenly the apps has been removed from my start menu. But since these are test machines, I didn’t go into the matter any more. I’ve put it on ‘is just like that’ and ‘maybe something left from previous installations that causes this issue’. I also have the impression that these test installations run extremely slower than previous builds (these are real machines and VMs with 32-bit installations and limited resources). Within the MS answers forum post, they wrote, that Microsoft is investigating reports of missing apps after installing the Fall Creators Update. They are proposing several workarounds. If a Repair option is available, click Repair. If this option is not available, or if Repair does not resolve the issue, you may also try the Reset option, though you might lose any app data that was saved. Once the repair or reset is completed, the app should again appear in the app list and can be pinned to the Start Menu. If repair or reset won’t work, try to uninstall the app using Settings app, category Apps. Under Apps & Features click the app and select Uninstall. After uninstalling the app, go to the store and re-install the missing app again. Then the app should be visible within your Start Menu. Microsoft provided also a third method using PowerShell to re-registering the missing apps. But this is only for advanced users. And user response within the forum thread says, that non of this fixes helped. 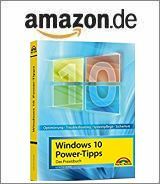 In this case Microsoft propose to go back to the previous version of Windows 10. Maybe a clean install of Windows 10 Fall Creators Update will cure this issue too. This entry was posted in issue, Windows and tagged Apps, issue, Windows 10 Fall Creators Update. Bookmark the permalink.